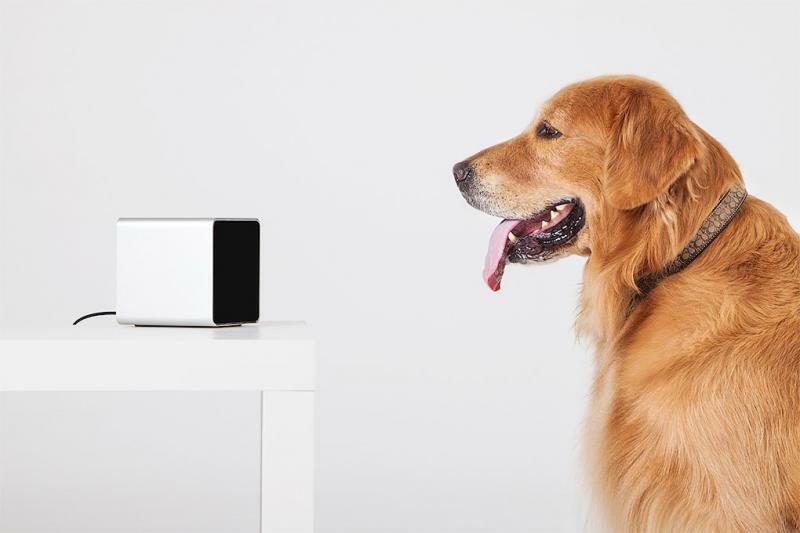 The Petcube is an interactive camera, which helps you stay connected with your pets when you are not at home. It is small, sleek looking and has a wide view, all you really need to check how your pets are doing at this very moment. Having pets can be a big chore, especially when the owners are away for prolonged periods of time due to work obligations or vacations. An anxiety can develop and your beloved cat or dog can start thrashing the place, or at best become more moody and withdrawn. Usually you just ask someone to take care of your pets when you are away, play with them and give them the attention they yearn, but I am sure many pet owners would rather check on them and play in real time instead of worrying constantly. Well, this is your solution! It is cheap, easy to use and most importantly contains numerous functions to explore and enjoy. Both you and your pet. Setting up the Petcube is as easy as it gets. All you really need is an internet connection and a smartphone(iOS or Android). Moreover, once you purchase it there is no real further payments to be made, the app itself is completely free. No batteries are used to keep the device small and compact, so plug it in, place it in the perfect spot, press the button on its back to connect it to your WiFi and voila, all that is left is to use your smartphone's app, it is in control of everything. Once all the preparations are done you can start viewing the room your pet is in via a real time stream. Watch them walking around, sleeping or eating, make sure they are ok and disconnect when you are satisfied. But this is not all, you can also hear them and talk with them in real time. This is especially useful if they know some simple commands. You can do a routine to exercise them, or simply berate them if they are doing something naughty. Of course this can also have some bad effects. It is weird for the pet to hear voices but not see anybody actually talking, it may scare the poor creature so take it slow and make sure you are both comfortable with the exchange. Naturally you can take pictures of your room and pet with the Petcube, it is as hard as taking a picture with your phone(not hard at all). Taking videos is, unfortunately, not an option. Snap pictures of your pet doing silly things, or simply looking pretty, then share them! 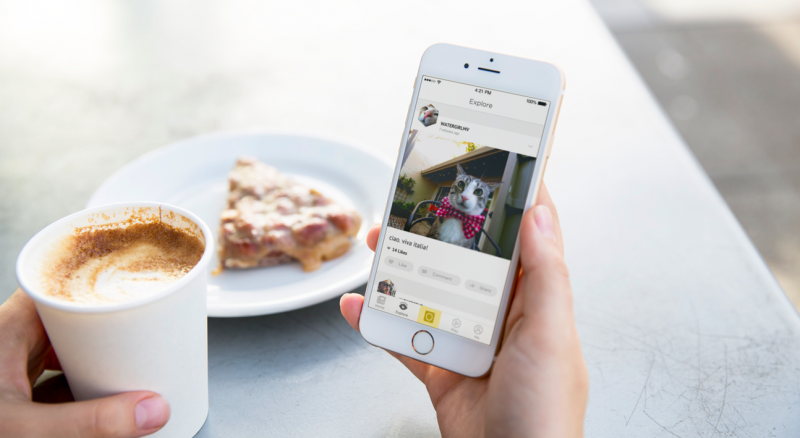 Thats right, the sharing capabilities of the program rival those of Facebook and Instagram. It is a paradise for dedicated pet owners, where they can share their favorite pet's photos with the world, while checking out some of the new hot animal stars other people are happily showing off. It is certainly a great way to pass your time during lunch break! It goes one step further than simply showing pictures though. Remember how I noted that streaming is in real time? Well, you can share the stream with your friends, so they can watch your cat doing cat things. Or even complete strangers! This, of course, goes both ways. 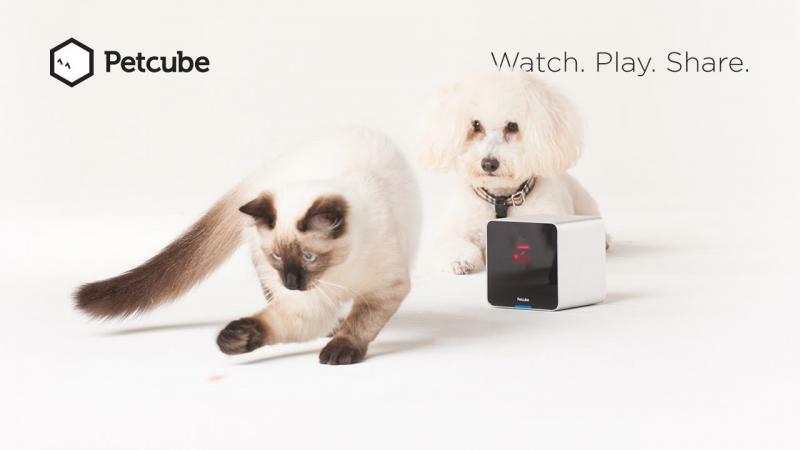 Even if you don't own the Petcube you can still connect to the app and watch various streams of pets, talk with them and even play with them. 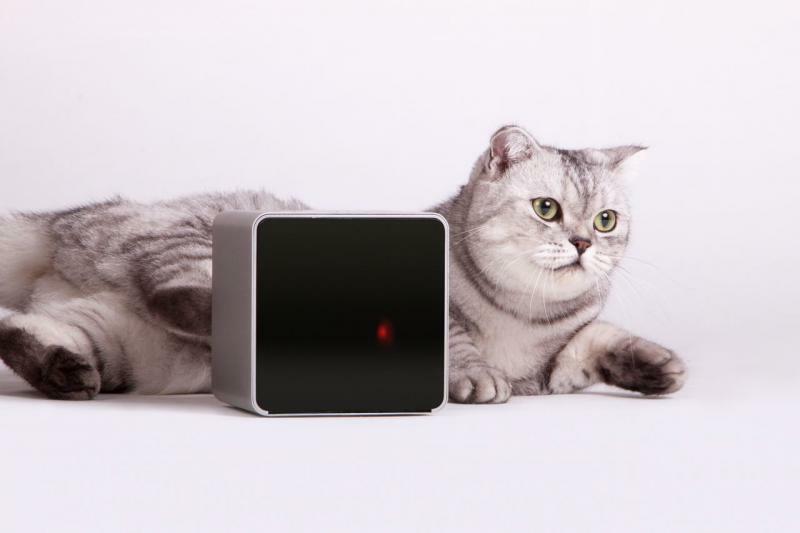 Maybe the quirkiest and most unique aspect of the Petcube is the laser pointer. There should always be this one thing, which separates your product from the rest. Did you know that some of the competitors have food dispensers integrated into their cameras? The laser pointer the Petcube comes equipped with boosts the interactivity of the device tremendously. You can fool around with your pet, keeping it energetic while keeping yourself amused. The laser itself is a powerful one, so expect it to cover the whole room without much of a problem. Consumer reviews point out that there is much to be desired from the technical support of the product. Still, it is good to know that the Petcube was a Kickstarter project, which means there are not that many people involved and obviously when the time comes for asking questions the answers may appear slow. In the end the system is so easy to use there shouldn't be many problems. Unfortunately you can't use the app on your computer. It is only compatible to smartphones, which is a bummer. If you don't own one you should definitely try searching for something else. Not being able to save up videos is also a shame. 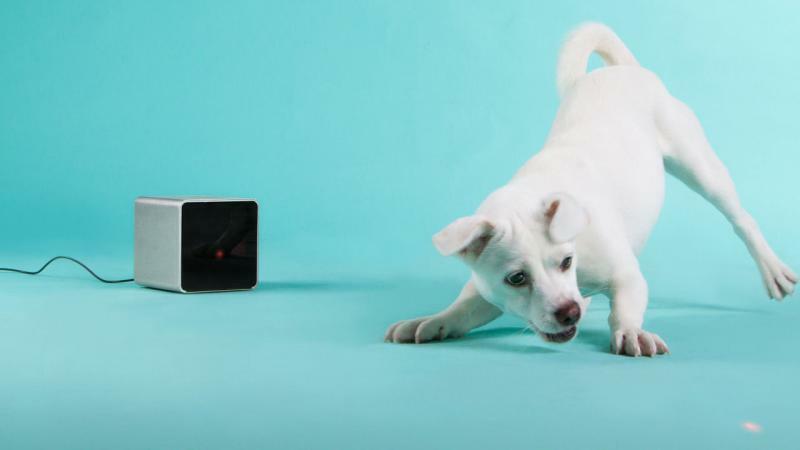 The Petcube doesn't use batteries, so positioning it can be a bit tricky. Make sure to have some extension cords readily available. The camera itself is not waterproof, so be careful while handling it. It also has no night vision. Finally, while the laser itself seems neat some users reported that the pointer is not very accurate. 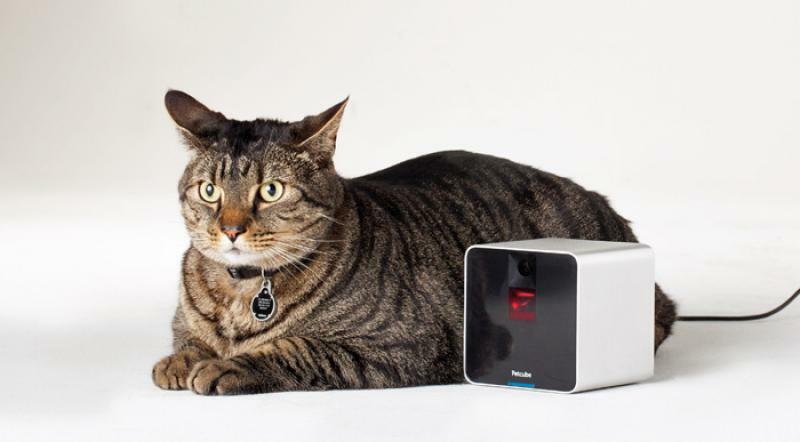 It is because of the signal, which takes time to travel from the smartphone to the Petcube. There is a calibration feature, which can fix this small problem. It is a genius idea, which coupled with a great execution makes for an alluring purchase.